In my traditional fashion, I was up creating during the overnight before Halloween. 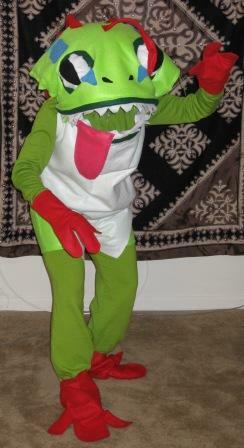 I made the decision on Monday to make a Murloc costume to wear on Friday for the costume contest at work. *Warning: gripe approaching* While the fabric department at Wal-Mart was less than helpful in gathering inexpensive felt during my lunch break, JoAnn’s was more than accommodating with their Halloween fabric sale the next day and I didn’t have to wait in the cutting line very long *End gripe. * From start to finish, the final product was exactly what I expected in look and construction. 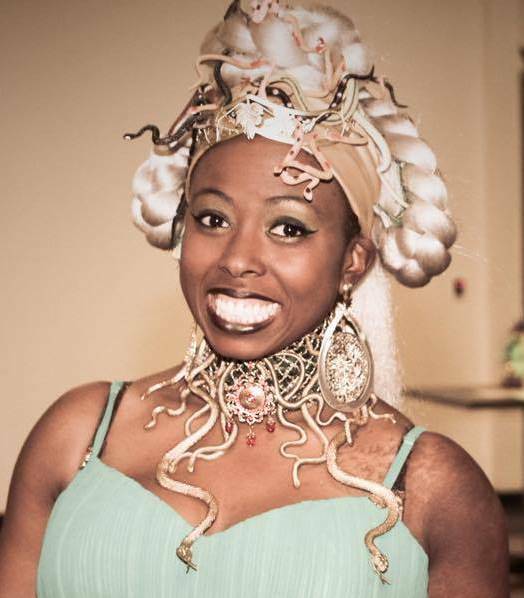 I wasn’t very intimidating, but I got a lot of compliments on craftiness and geek-mindedness. If you’re wondering what on Earth a Murloc is, I recommend the following link, http://www.wowwiki.com/Murloc, as the Murloc is not of this Earth. UPDATE: I won first place in the costume contest at work. Third time’s a charm! Wow, that Murloc thing really *does* indicate gamer geekiness, dude. That’s cool, though, because I love costumes. Just got back from a Broadway show and though the show was great (of course), they had humanoid horse costumes that I spent the entire time thiking about. Where DOES one go to learn how to do that kind of thing? I also need ot know how to make a peacock tail for a person and have it properly mounted and not falling apart. Again, WHY are there no resources for this kind of thing? I can’t be the first person to want to do it.